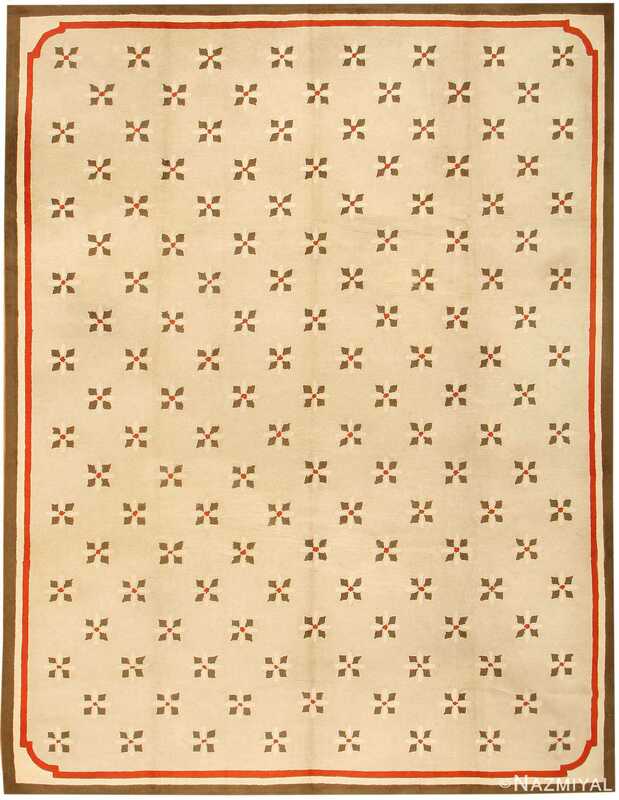 This exceptional antique American hooked rug has a delicate pattern of rosettes in staggered rows set against a pale tan ground. 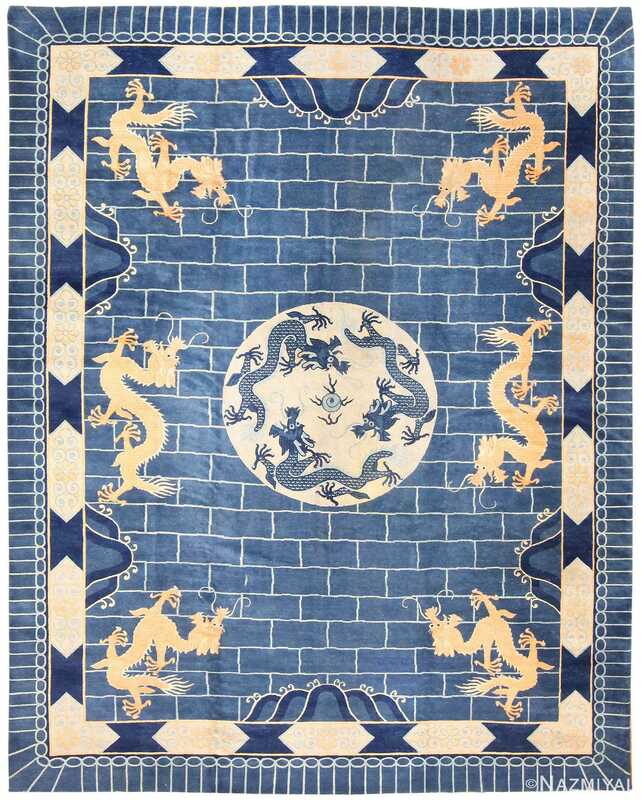 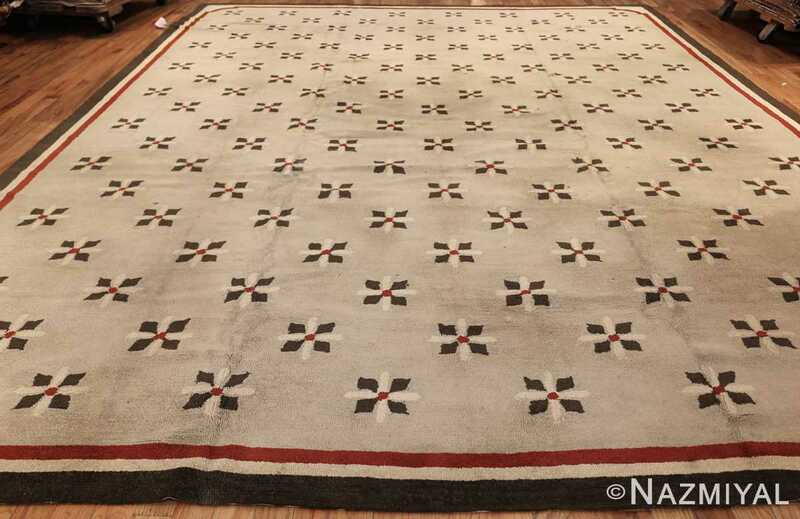 Antique America Art Deco Design Rug, Country of Origin: America, Circa Date: Late 19th Century – This effortlessly beautiful antique rug — a meticulously detailed Art Deco rug made in America toward the end of the nineteenth century — is a lovely and fantastically representative hooked rug. 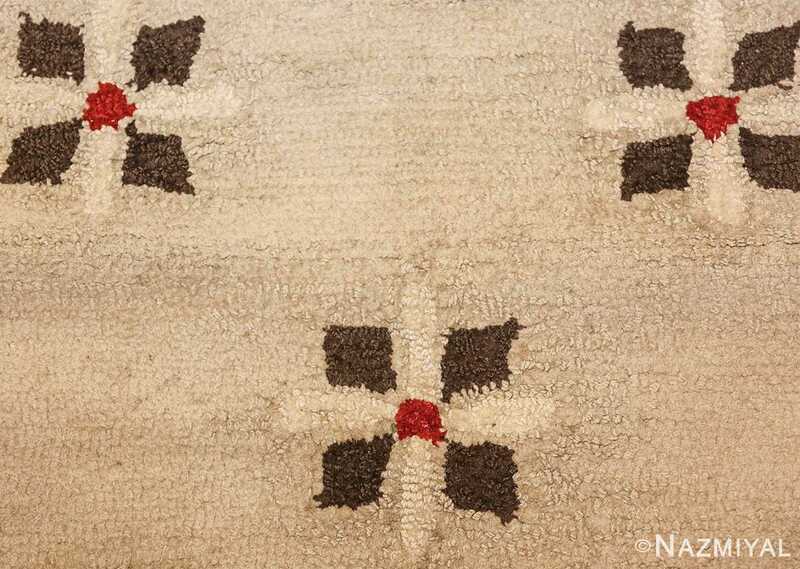 A delicate and well-spaced pattern of pointed rosettes in staggered rows repeats against the pale tan ground of this exceptional antique American hooked rug. A series of thin stripes comprise the simple border system. 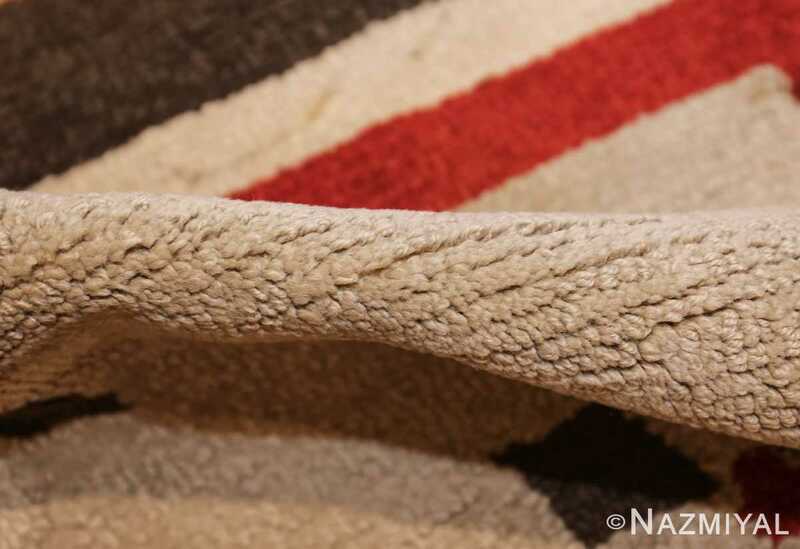 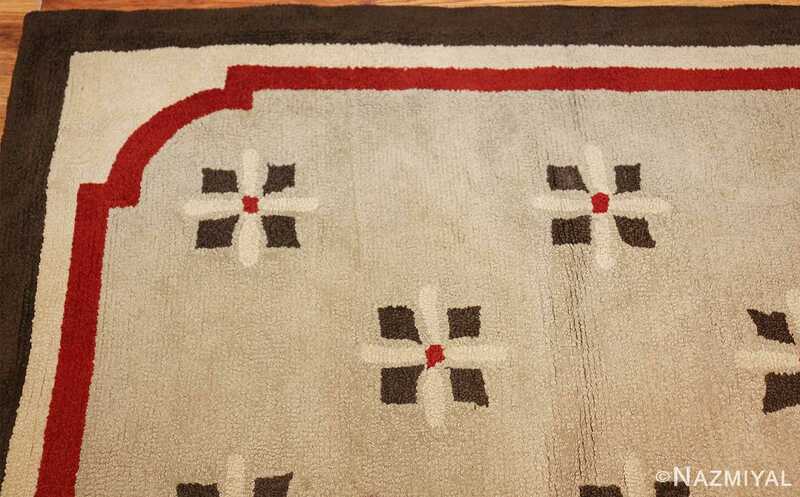 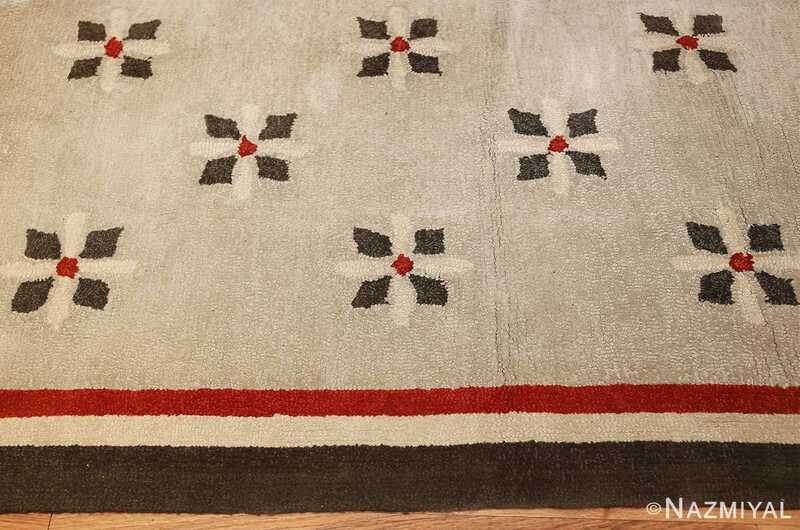 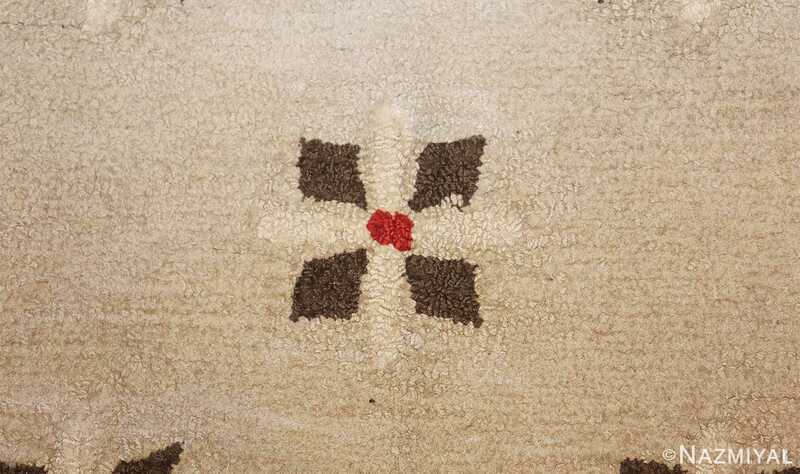 The elegant design is unusual within the more homey repertory of hooked rugs. 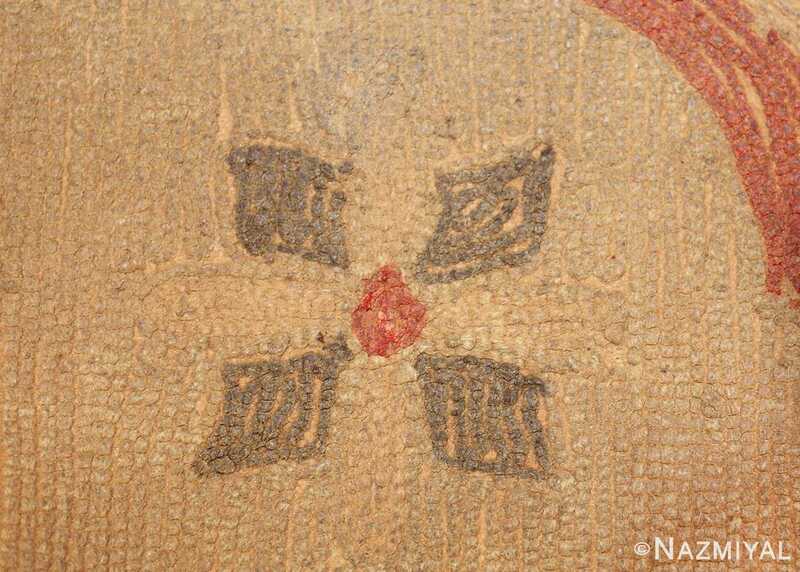 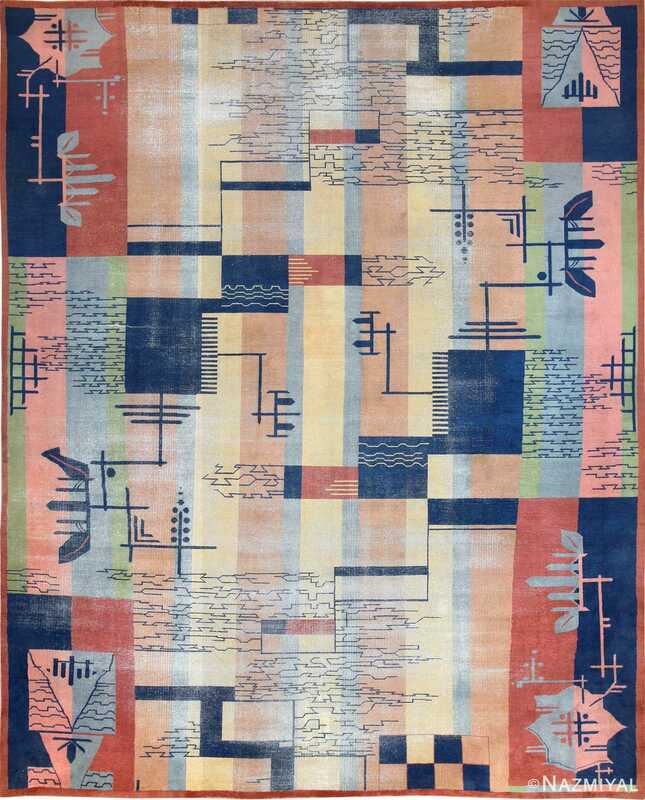 It relates more to American applique quilts, although the elegant drawing is also reminiscent of French Aubusson tapestry rugs. 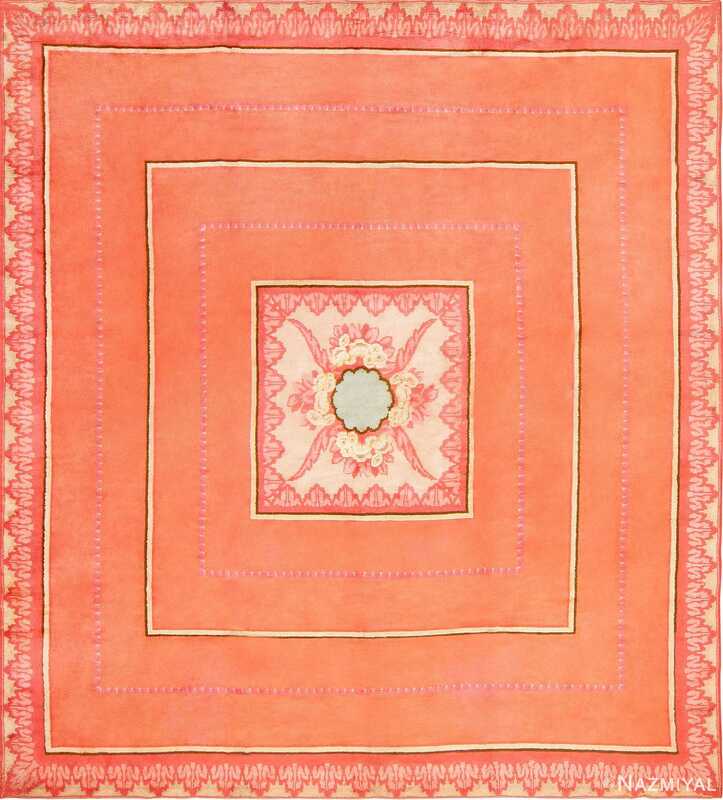 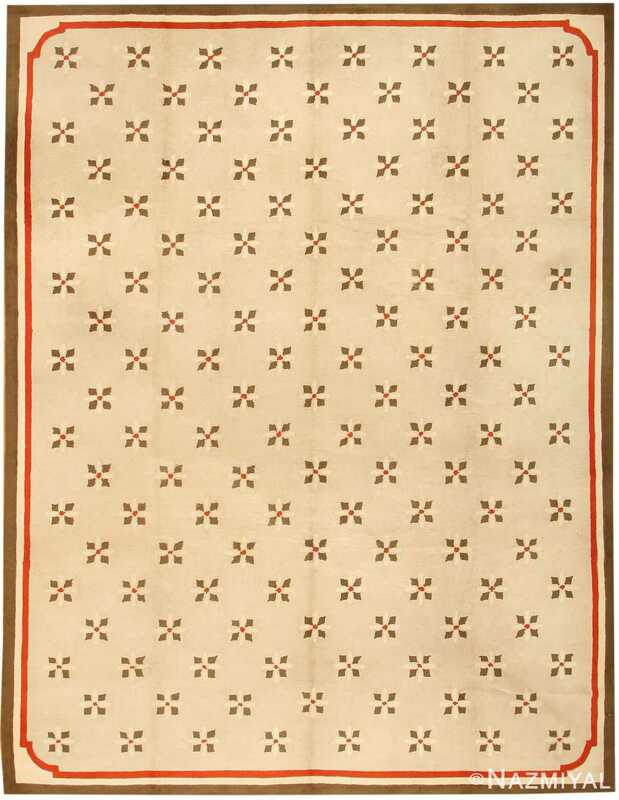 Being evocative of so many different styles and aesthetic ideals, one might be inclined to think that this rug comes across as a melange — but because it is beautifully done, it possesses a gorgeous unified aesthetic that makes for a lovely antique Hooked American rug.